Prints are in! Take a walk down the high street and you won't be able to escape beautiful prints on everything from dresses and bags to gorgeous printed sheets. All these prints help us express our unique style and make vivid personal statements. Joy Jolliffe demonstrates that printing is a simple, effective way to make your mark on a multitude of surfaces from clothes to bedding. 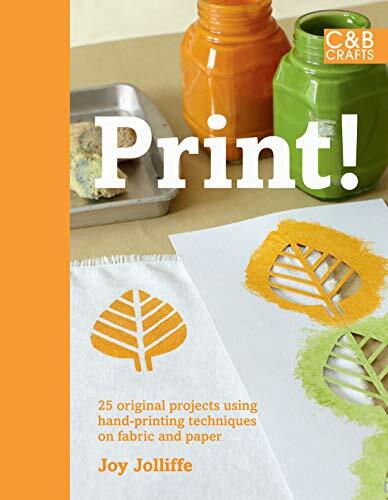 The book features chapters on block printing, stencils, transfer and open screen printing, and tips to guarantee perfect results every time! Projects include a Daisy Border Tea Towel, Photo Montage Wall Art and Sepia Tint Primrose Skirt. Packed with stunning ideas and techniques you'll never be short of inspiration.